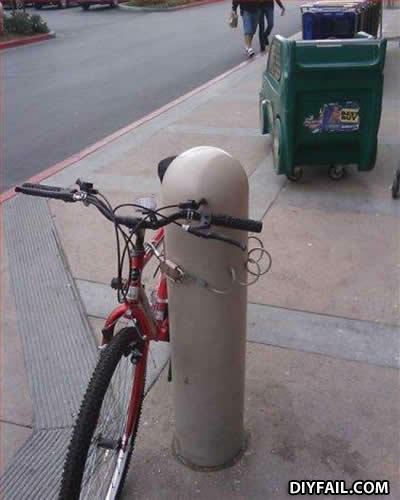 ...just about as secure as that guys future. IT TOOK ME ONE WHOLE HOUR TO LOCK THIS!!! Whoever took this picture better have stolen that dumbasses bike afterwords. Don't drink n' ride !!! LOOP IN ARE FOR TOYUIL!!!!! HAR HAR HAR!!!!!!!! MOY SAY UHJIN LAK WAQUI SAMPA!!!!!!! WAAAAAAAAAAAAAAAAAAAAAAA!!!!!!!!!!!!!!!!!!!!!!!!!!!!!!!!!!!!!!!!!!!!!!!!!!!!!!!!!!!!!!!!!!!!! LOLOLOLOL IT IS SO FUNNY TO JOKE ABOUT!